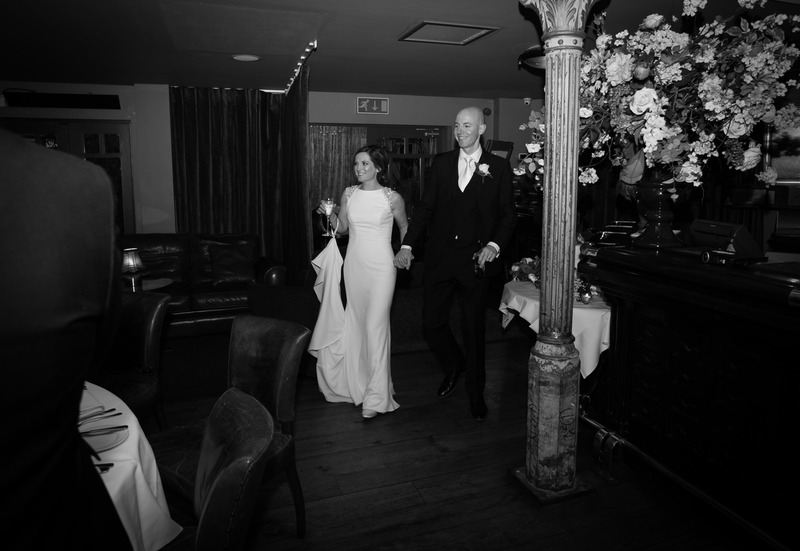 We offer Restaurant style service in a banqueting setting – something not everyone does. And we do it really well. All our food is prepared fresh and all mains are cooked to order. We take a temperature on all steak orders and our accolades are mounting up! Consistently, almost after each wedding, we get great feedback on our bar service. The point made time and time again is that guests are ‘forced’ to stay together in this space, as there is no ‘hotel lobby’ for guests to escape to and consequently, everyone unites and has a wonderful time. The bar itself was refashioned from the old Montrose Hotel in Stillorgan and is an impressive centrepiece of the room. Our Sommelier and Mixologists come up with some great innovative offerings, so there’s always a surprise if that’s your thing! Because it’s only your Wedding that’s here on your day, you have our full attention offering you complete flexibility as to your preferred layout, timings, run of play etc. 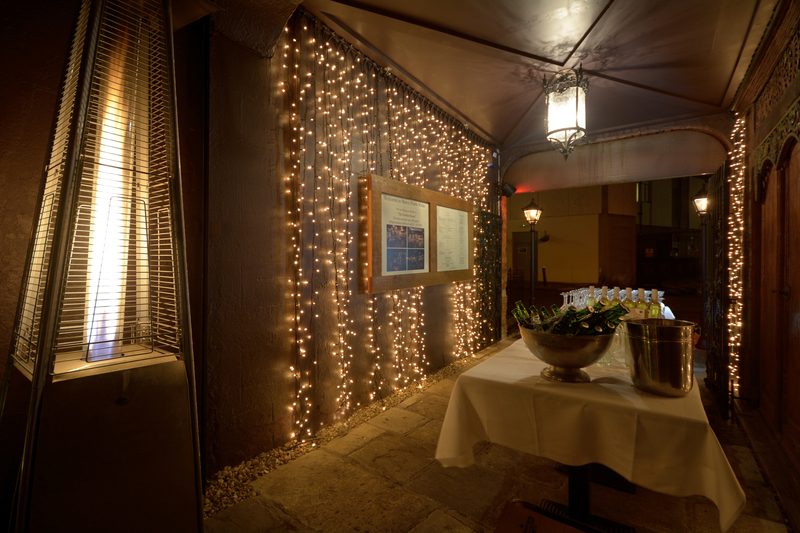 We can even host your ceremony outside. We also offer our guests private use of our Library Room which we keep exclusively for the wedding couple, giving them the opportunity for a moment away from everyone to catch a breath alone. 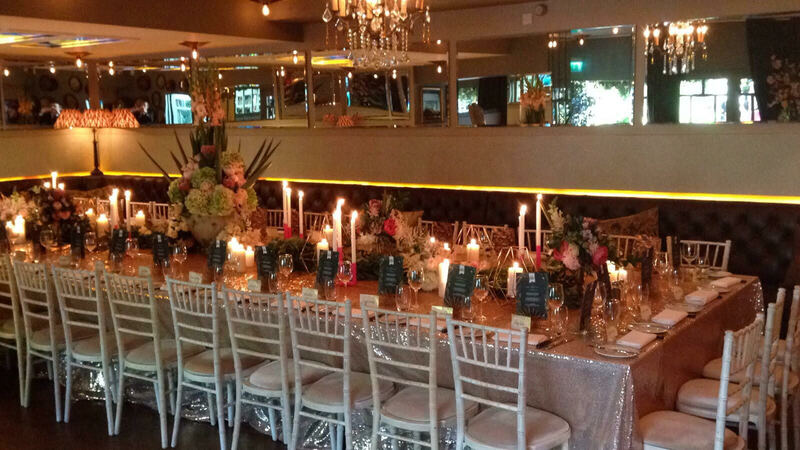 The Owners, Geraldine in particular, is constantly adding interesting finds and pieces to the ambiance, the glamour, the layout, the décor, to keep the venue special and unique. Their dedication and attention to detail feeds down into the team.